What amazing artists we have at Point View School. We have all loved going into the hall to view the different, beautiful art that there is on show. It was a long process, but finally our work was complete too. Here is a photo of it on display. 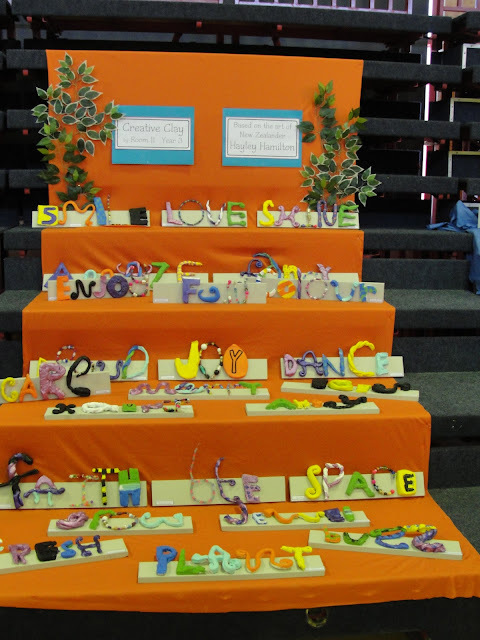 We looked at the art of Hayley Hamilton and used her ideas of words out of clay and threaded beads.